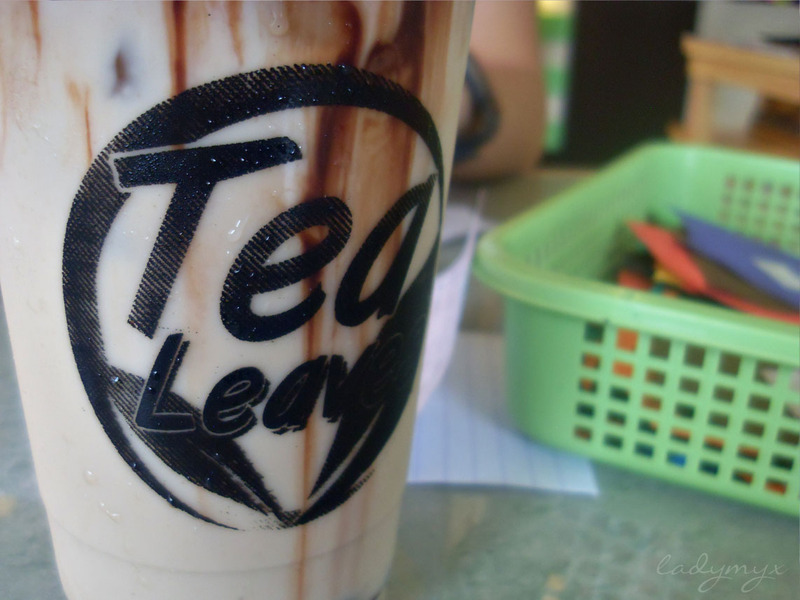 I can live without lunch, I just need a cup of icy cold milk tea, I'm totally satisfied! 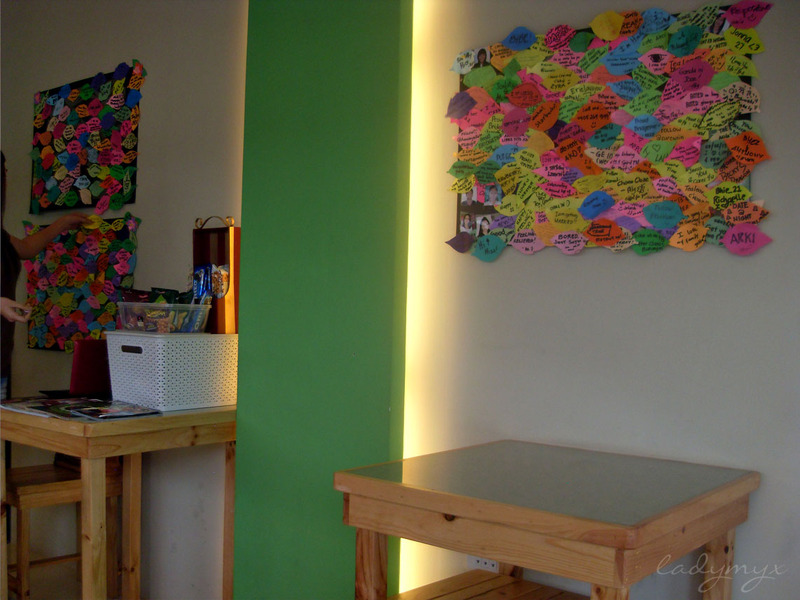 And regardless with my intro, I'm glad to announce that there's another newly opened MT shop here in Batangas. Hurray! 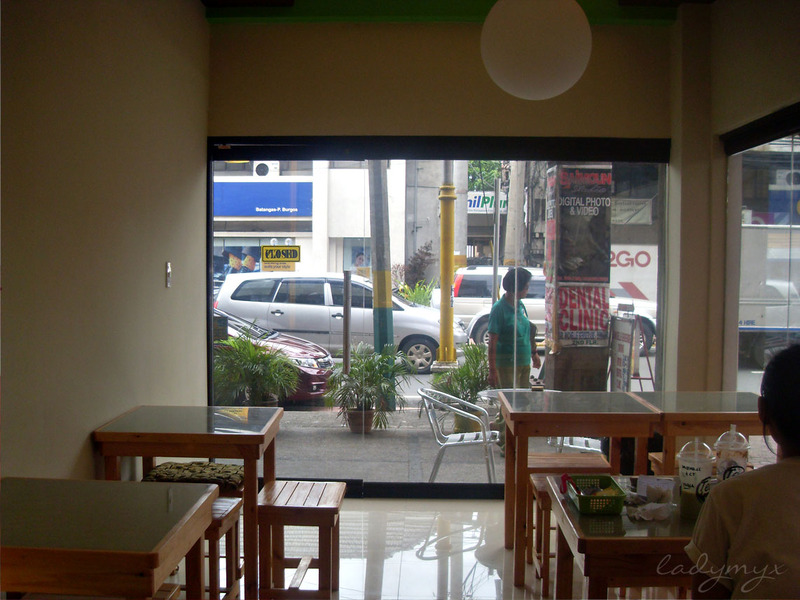 It is located along P. Burgos Street, just beside Red Ribbon Bakeshop and Zeny's Money Changer. 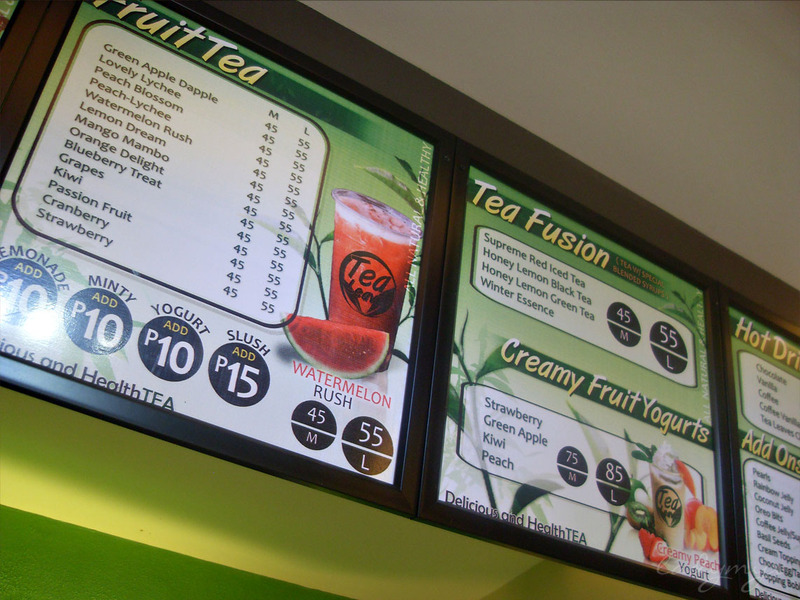 They have their menu board located above the production area, as if others aren't with the same set up. LOL. 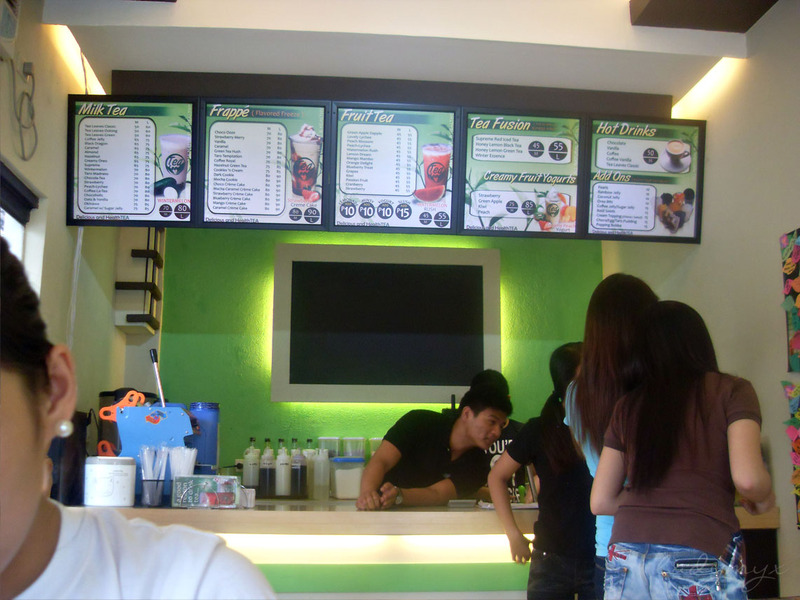 You'll notice that they have array of flavors to choose from. Their beverage names are downright witty, well, I'm totally impressed. Lovin' the creme cake sound at the end of the names. 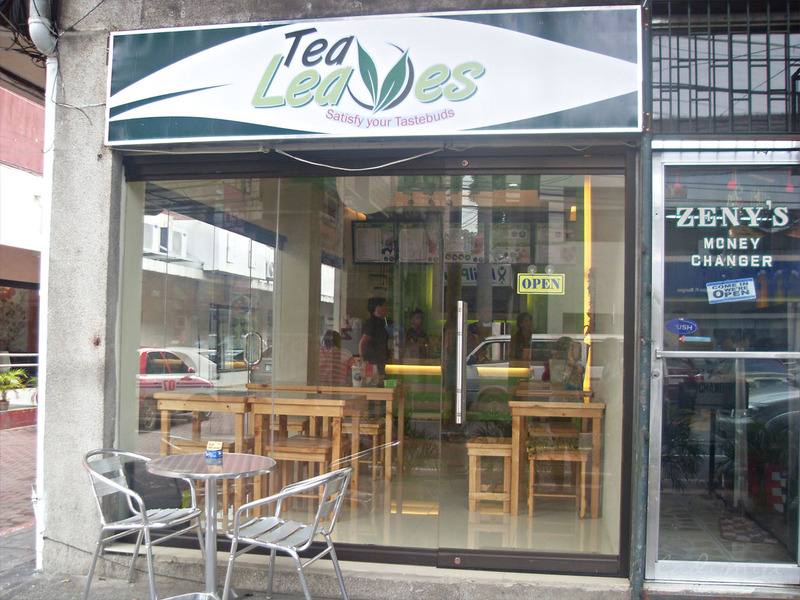 :) I've heard they have good tea blends too! Sister ordered a large Macha Caramel Creme Cake Frappe (Php90+Php15) and mine was a large Black Dragon with whipped cream (Php75+Php15)! 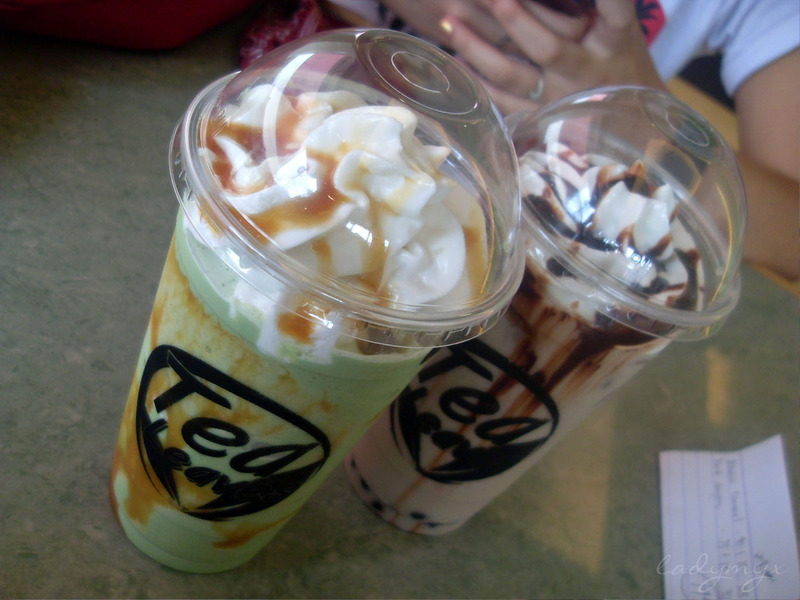 I just love how my milk tea turned into scrumptious frappe in a blink! Looks like Java Chip, isn't it? XD Oh no, it's really hard to compare but this one's totally different. Black syrup really blends with the tea base plus the creaminess of the whipped cream. Totally heaven! Me and sister with our half emptied drinks and me hopping around the place to snap more pictures for compilation and blog. Hihi. 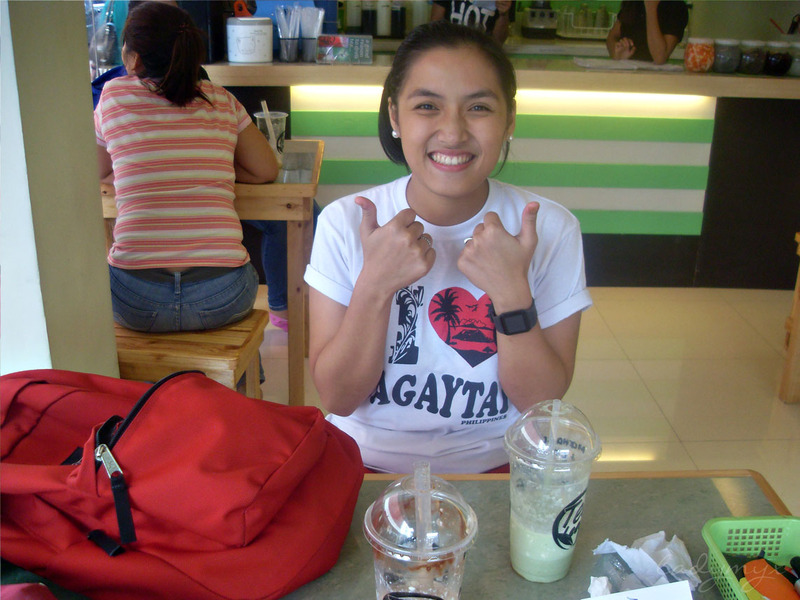 Will surely be back for more! 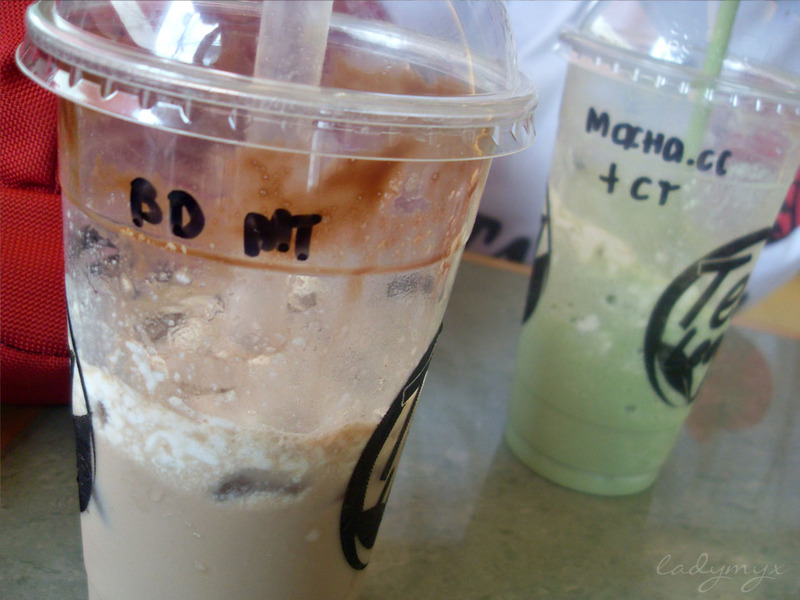 Been there once :) I was curious so I decided to try their beverage since Red Ribbon doesn't have one. I tried their cookies and cream and I love it. Next time I'll try a frappe with a whip cream and maybe hang out for a little while and read a book. 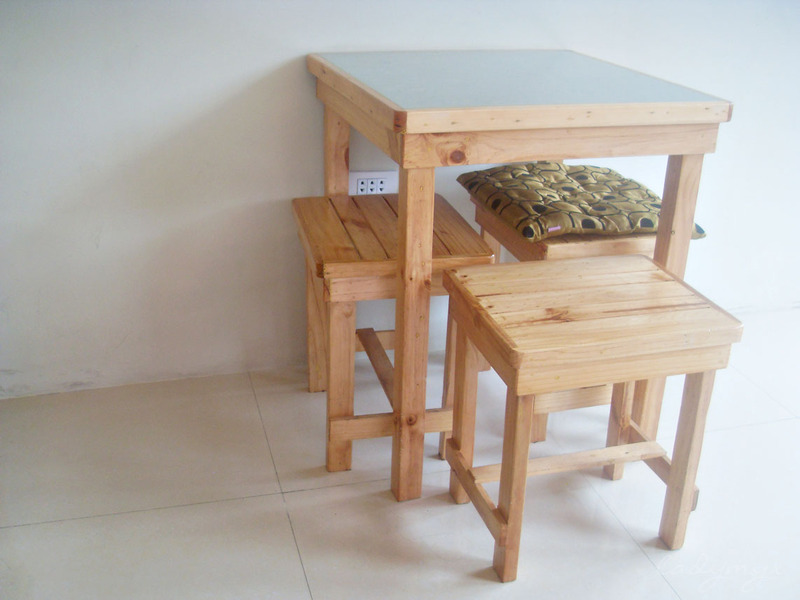 Their place is really convenient compare to Starbucks. 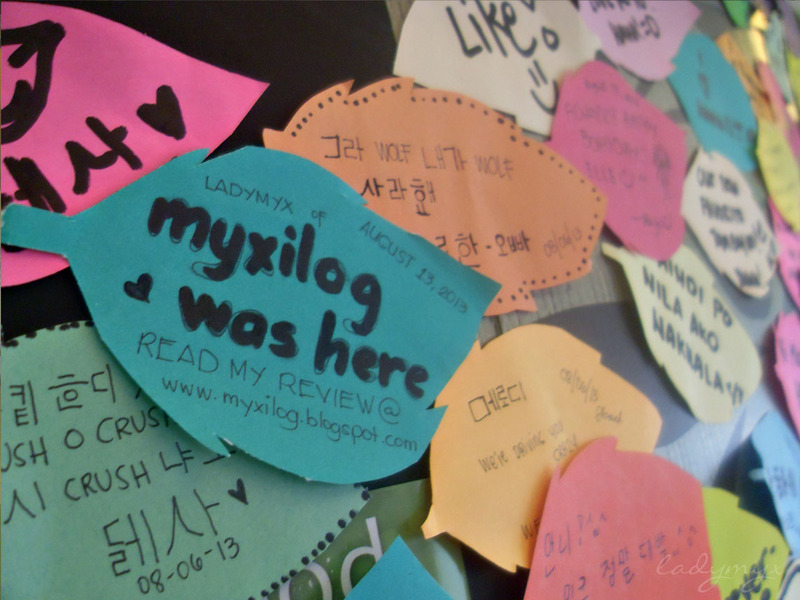 Btw, thanks for dropping by at my blog. 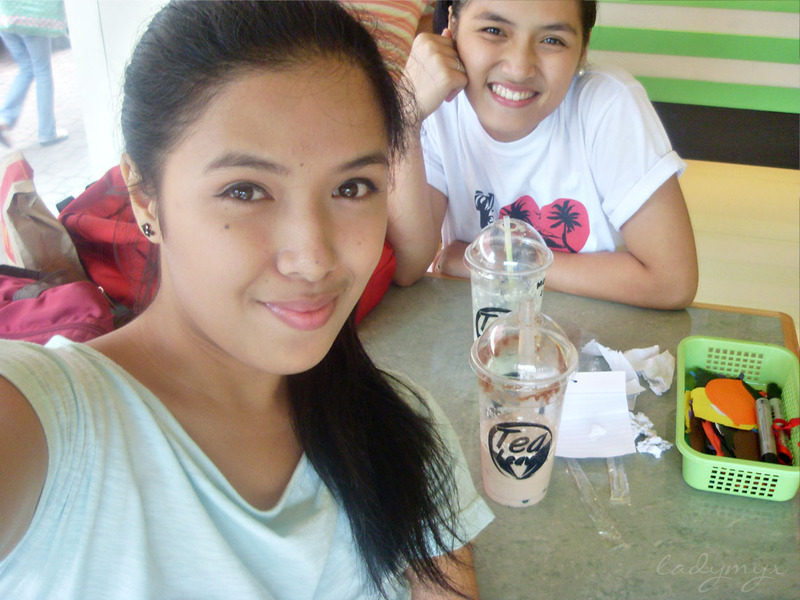 Hope to see you soon since we're both from City :) Maybe we can hang out at Tea Leaves. 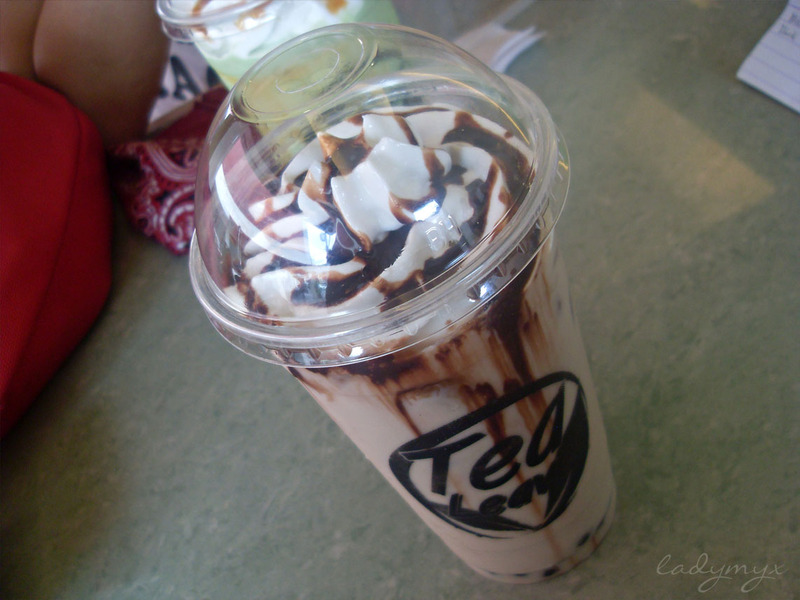 wooo I like to try the frappe...saan ito ladymyx?? 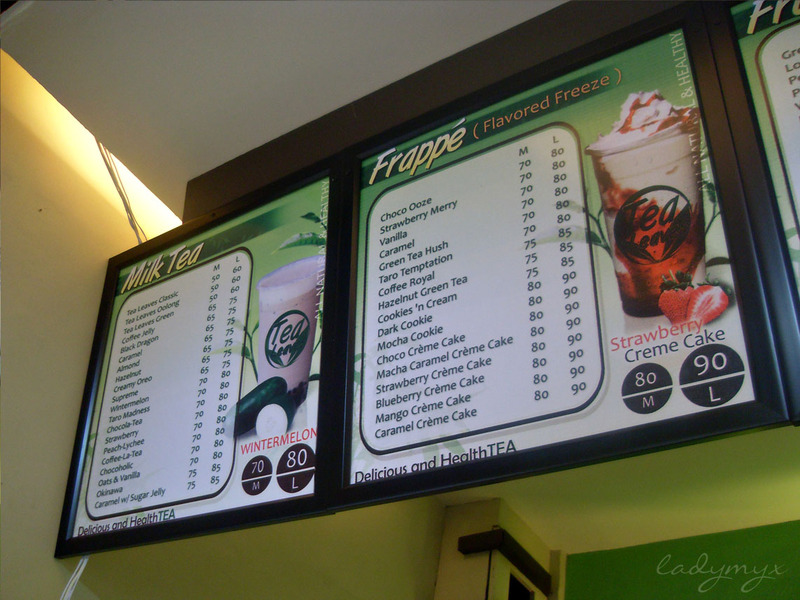 anu mas masarap diyan?milk tea or the frappe? ?